SUPERJOINT was resurrected in 2015 after the original band broke up a decade earlier. At the behest of the late Corey Mitchell, co-founder of The Housecore Horror Film Festival, SUPERJOINT founders Philip H. Anselmo (Down, Pantera, Scour, Philip H. Anselmo & The Illegals, Arson Anthem et al), Jimmy Bower (Down, Eyehategod), and Kevin Bond (Christ Inversion, Artimus Pyledriver et al) joined forces with longtime comrades, drummer José “Blue” Gonzalez (Warbeast, Philip H. Anselmo & The Illegals) and bassist Stephen Taylor (Philip H. Anselmo & The Illegals, Woven Hand, 16 Horse Power). A new era of the band was born. Preorders bundles for SUPERJOINT’s Caught Up In The Gears Of Application are available via Housecore at THIS LOCATION. For digital preorders, point your browser HERE or HERE. 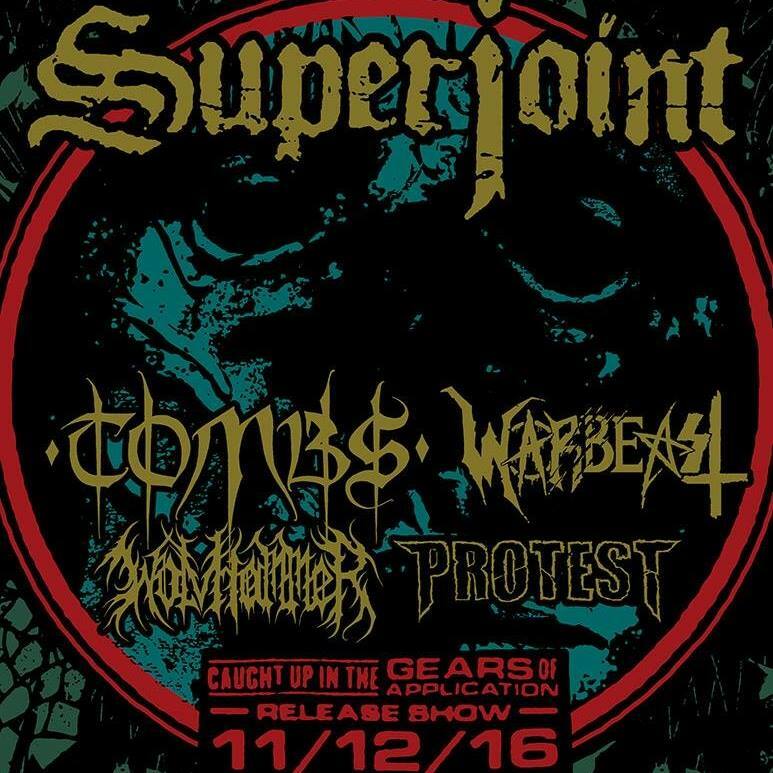 SUPERJOINT will bring their venom to the stage for their official record release show on November 12th, 2016 in Dallas, their only US appearance of the year. Tickets are on sale now!